It's been a busy few days and I'm pleased to introduce you to our newest Featured Designer, Lorrie from Illusio Creative. 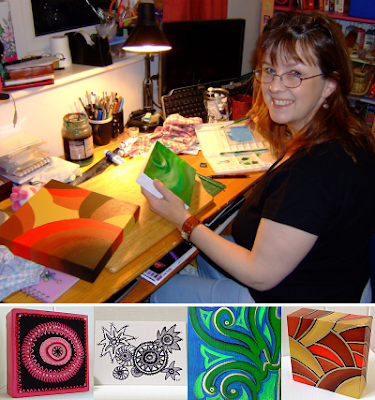 Lorrie is our first Artist to be featured, read my interview with Lorrie here and discover stunning drawings, paintings, fibre art, photographic prints and more. Thank you very much for the feature Belinda..really appreciated. fab interview - nice to know a bit more about you Lorrie! look forward to seeing your new stuff! How nice to read about the lovely Lorrie and her gorgeous work. She is so talented and a friendly lovely person.